Aguti was founded under the original name of “Aguti Sitztechnik GmbH” by graduate designer Andreas Grieger in Mindelheim. Core business was the development and sale of automobile seats. 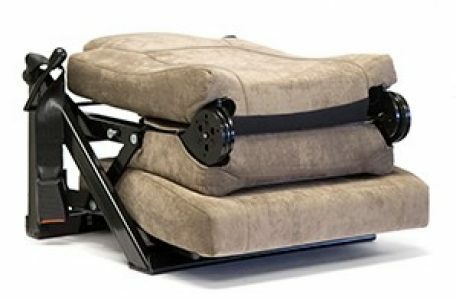 The folding seat from Aguti allows passengers to travel in safety but also folds down to fit underneath existing furniture to give further seating space when the vehicle is parked. Supplied trimmed in Anthracite fabric as pictured. TUV approved. Aguti’s Milan captain seat is mainly used in vehicles that already have the seat belt mounted in the vehicle B-pillar. 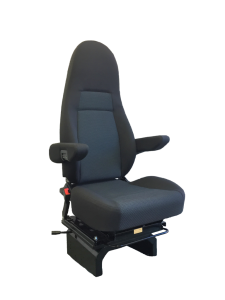 Extra wide, height adjustable armrests, step-less backrest adjustment and anatomically adapted contact surfaces for legs and back ensure a super comfortable and relaxed sitting position. 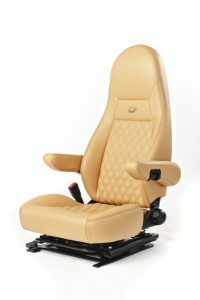 Aguti’s popular Milan seat is now approved to be used in VW T5/T6. Available in VW’s own fabric to match existing seats, the Milan is a superb upgrade from the original VW seats.